Welcome to our Early Years page; the most important place as this is where it all starts! We offer our children a warm and welcoming environment, full of stimulating activities to keep them busy all day long. Our early years area offers a classroom at the heart of the school building with a green and natural outdoor space adjacent to this. They have lots of space to run, jump and climb in our grassy woodland area. We like to build dens, spaceships and obstacle courses. We also create little worlds for our peg dolls and mini people to inhabit. 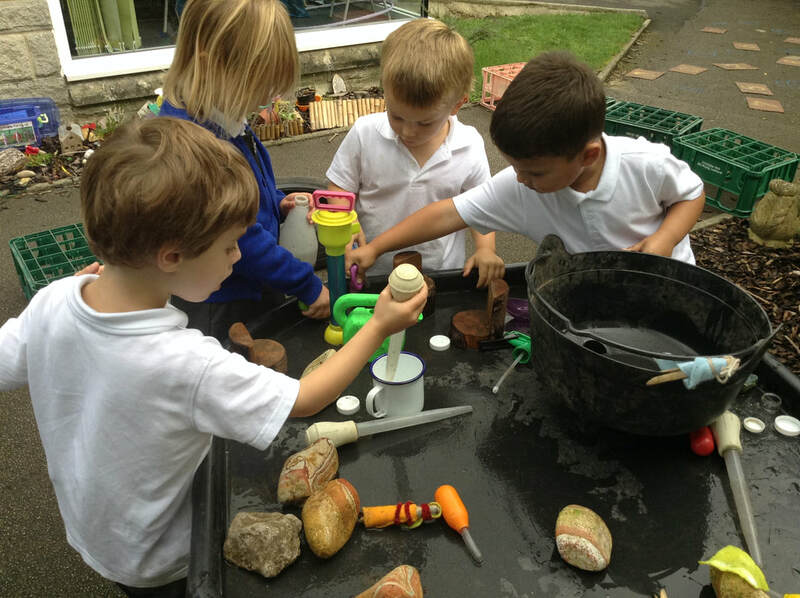 We mix potions from leaves, buds and petals and play with water and mud in our natural kitchen. All children will need a thick waterproof coats and wellies as we like to play outside, whatever the weather! We use play as a vehicle for all learning activities and through this approach we cover all the strands found within the Early Years curriculum.